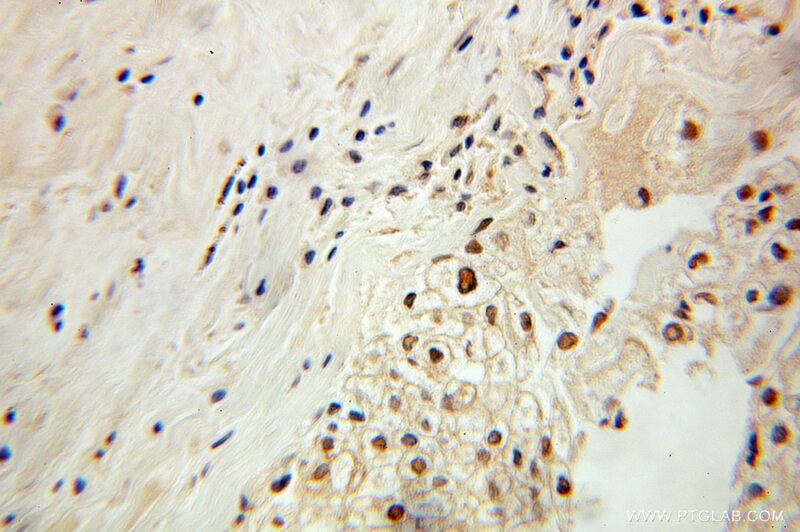 IP Result of anti-PDCD2 (IP:10725-1-AP, 4ug; Detection:10725-1-AP 1:500) with HeLa cells lysate 2800ug. Programmed Cell Death 2 (PDCD2) is widely expressed in embryonic and adult tissues but with undefined function yet. Recent observation uncovered its role in hematopoietic stem cell differentiation during development. 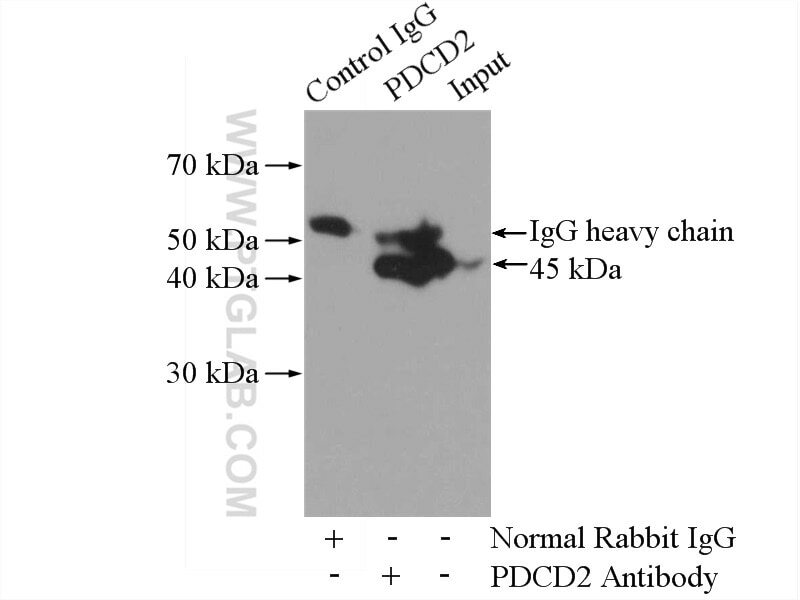 Catalog# 10725-1-AP is a rabbit polyclonal antibody raised against full-length PDCD2 of human origin. PDCD2 is essential for inner cell mass development and embryonic stem cell maintenance. PDCD2 controls hematopoietic stem cell differentiation during development. PDCD2 knockdown inhibits erythroid but not megakaryocytic lineage differentiation of human hematopoietic stem/progenitor cells. Quantitative proteomic analysis of cellular protein modulation upon inhibition of the NEDD8-activating enzyme by MLN4924. Single-cell RNA-seq reveals distinct injury responses in different types of DRG sensory neurons. MicroRNA 200a inhibits erythroid differentiation by targeting PDCD4 and THRB.